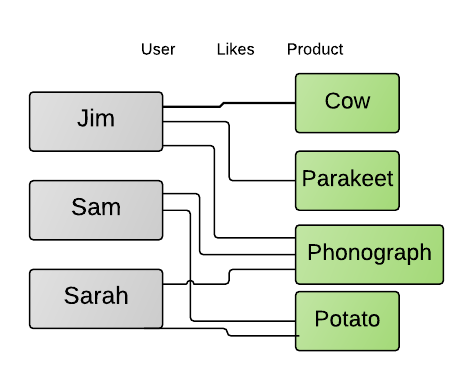 Here's a brief visual tutorial to Rails relationships or "Associations". See Models and Relationships and Advanced Relationships for detailed tutorials. Goal: Each category can have many products, and each product can belong to one category. 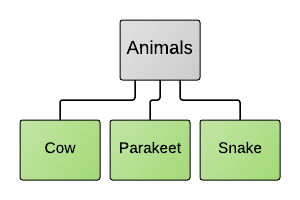 Solution: Set up a one-to-many relationship between models. Add a column for category_id to the products table, to identify the product that a category belongs to. Goal: Each user can have one cart, and each cart can belong to one user. Solution: Set up a one-to-one relationship between models. Add a column for user_id to the carts table, to identify the user that a cart belongs to. has_one - Tell Rails that each User has_one cart. Goal: A user should be able to 'like' products. Each user could like many products, and each product could be liked by many users. Easily retrieve the products a user likes. 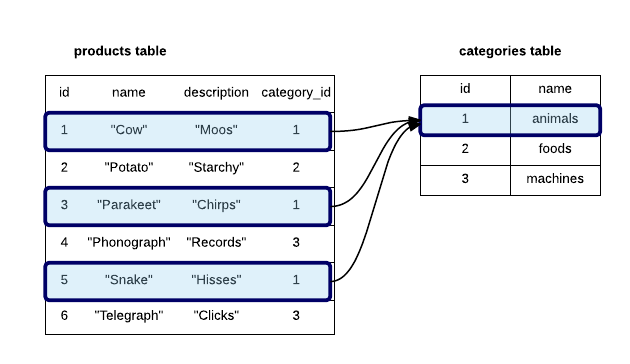 Solution: Set up a many-to-many relationship between models. Create a new table likes with 2 columns: user_id and product_id. Each like record stores a relationship between a User and a Product. Now you can call user.liked_products, which is clearer. has_many through was covered above. 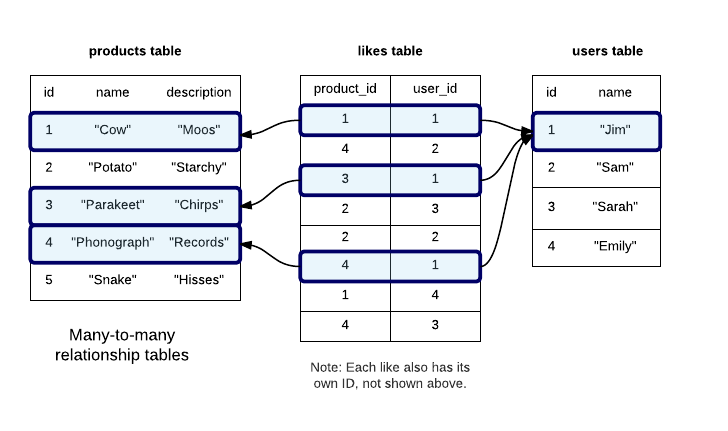 If you know you'll never need to add any columns or methods to the like model, you can skip creating the like model and instead create a has-and-belongs-to-many-association association between users and products. 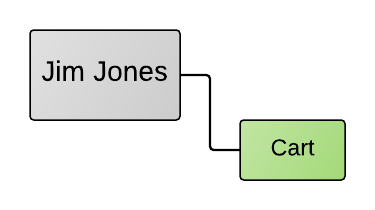 You will still need to create a table to store the relationship. has_one :through is like has_many through for a has_one relationship.